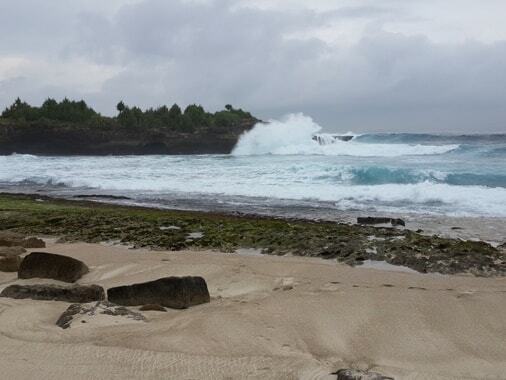 Sandy Bay or Sunset Beach offers a spectacular white sandy beach and big crashing waves pulverize the rocky cliffs. The atmosphere is a bit quieter, delightful spot and laid back, and inspires the visitor to walking down along the coast. The Beach Clubs has beautiful unspoiled views overlooking the ocean. This amazing beach also offers an intimate, beautiful and romantic wedding for couples. Sandy Bay or Sunset Beach offers a spectacular white sandy beach and big crashing waves pulverize the rocky cliffs. 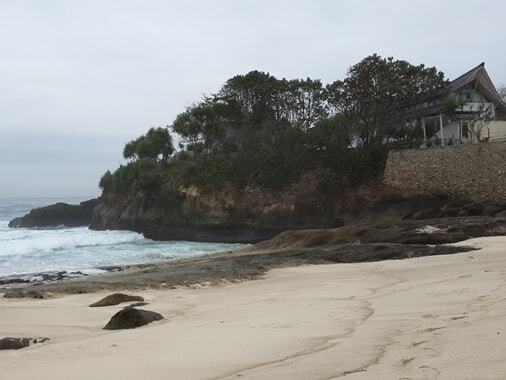 Let's take a closer look to the amazing of Sunset Beach Lembongan! The beach is situated adjacent to Dream Beach and Devil's Tear. These waterfront is a great half-day outing. The Sunset Beach is located in the southwest coast of Lembongan Village, in the District of Nusa Penida, Klungkung Regency, Bali. Visitor can get the location directly from Jungut Batu Port just about 3.5 Kilometers (about 10 minutes). This area is influenced by "Somewhat Dry Climate" (E type climate based on Schmidt-Ferguson climate classification maps). Somewhat Dry Climate here has humid season which begin from December continues until April. The Sunset Beach has a huge waves and the tide is strong. It's not a swimming beach at all especially for children. But it has a beautiful surroundings and tranquil atmosphere suitable for excursion. Sandy Bay is blessed with a beautiful sunset, turquoise water, dramatic cave formation, and low-laying limestone cliff at the eastern side. This coast is a bit quieter, delightful spot and laid back, and inspires the visitor to walking down along the coastline. Sunset Beach also offers an intimate, beautiful and romantic wedding for couples. This place has spectacular nature, rugged beauty, crystal clean water, and slower pace of life. The natural beach with clear blue sky, dramatic sunset, and the sound of waves colliding. All of them are framed by panoramic ocean view, giving the enchanting feeling, and more romantic for your special day. Beach Clubs at Sandy Bay has beautiful unspoilt views to the ocean. This place is designed with a rustic beach and relaxed. It set against the backdrop of the huge waves crashing on the rock cliff and shoreline bellow. On this hangout spot you can order meals, wine, delicious cocktails, ice creams and juices. Visitors can enjoy the ocean-side spa, more relaxed with stunning surroundings. Visitors also seek for the stunning sunset here. This waterfront is a perfect romantic sunset dinner with a gorgeous ocean breeze for couples. 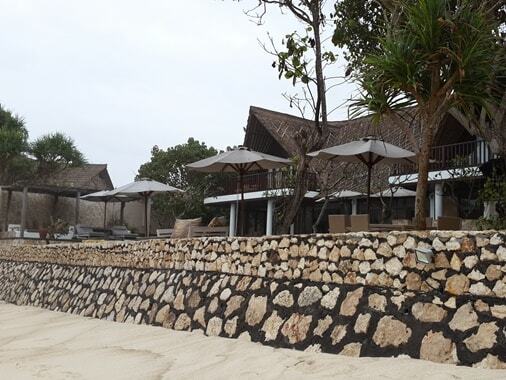 A perfect place to taking your vacations and the most romantic beach vacations in Bali. 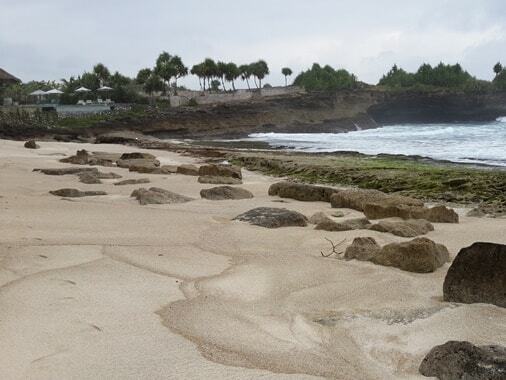 Take your romantic vacations on Sandy Bay Beach Bali, hopefully helpful and thank you!